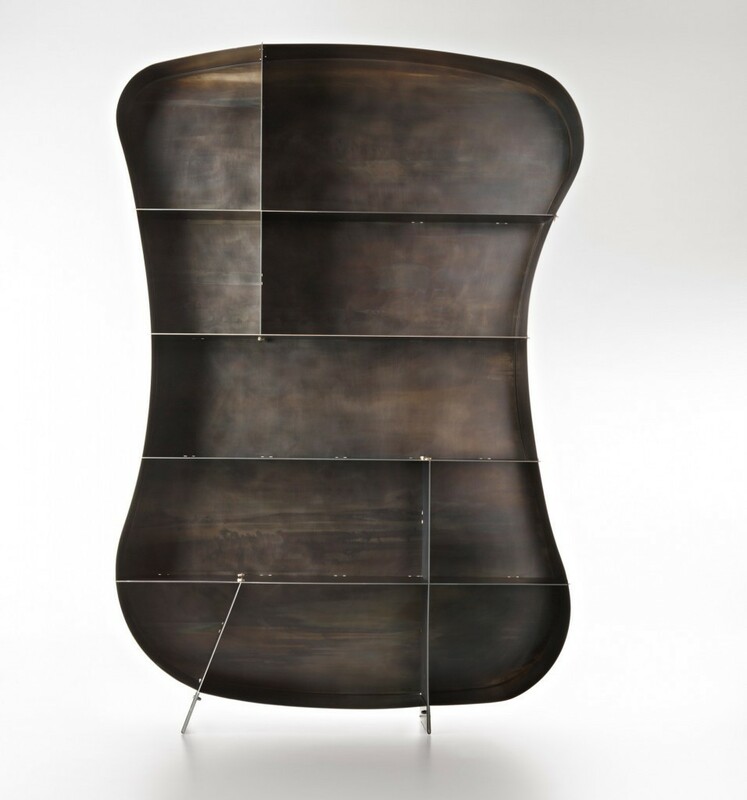 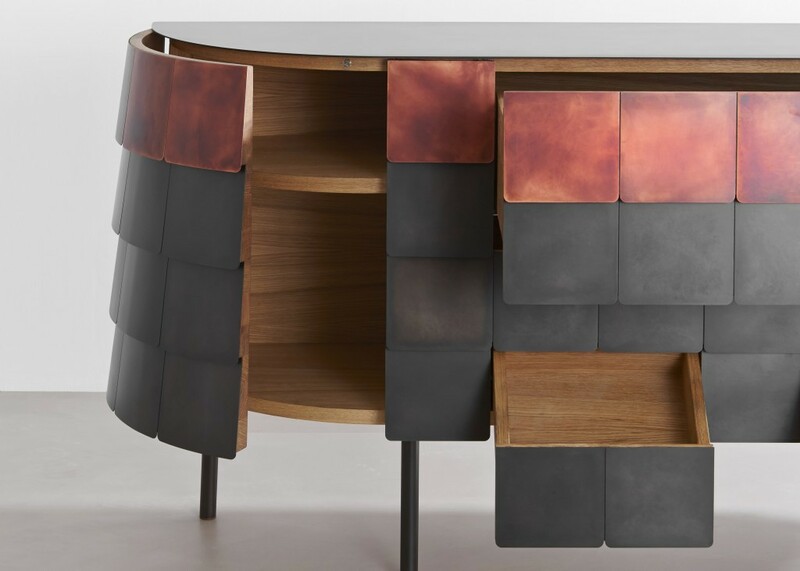 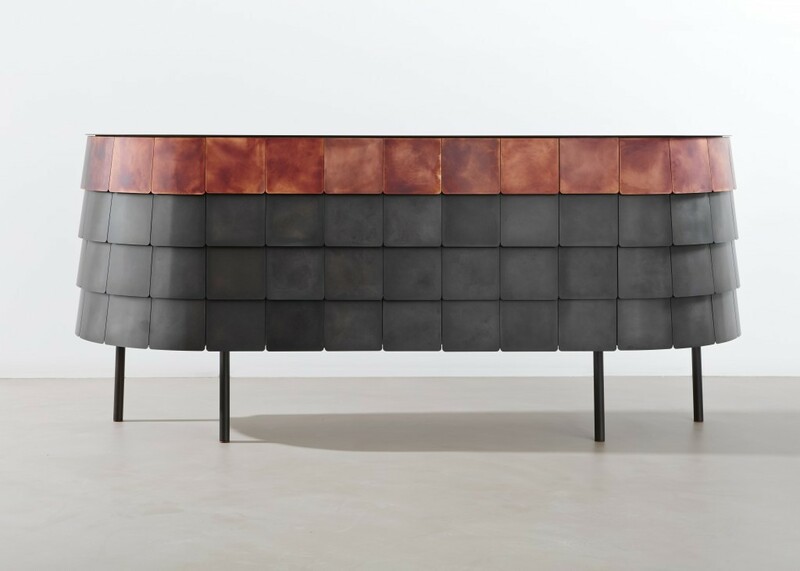 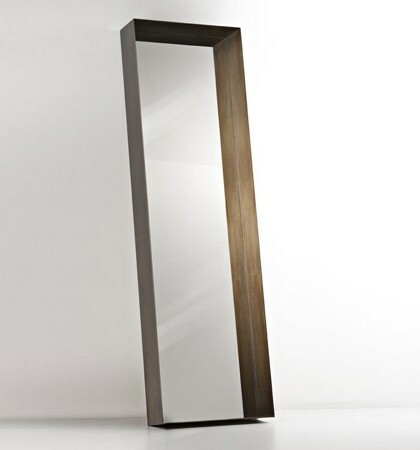 A leathery and shimmering skin dresses this piece of furniture, having a cozy shape and a strong visual impact. 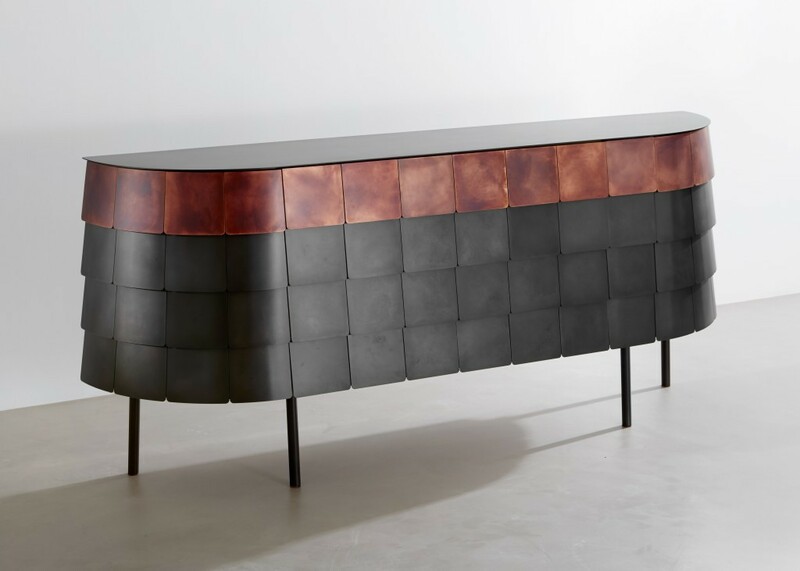 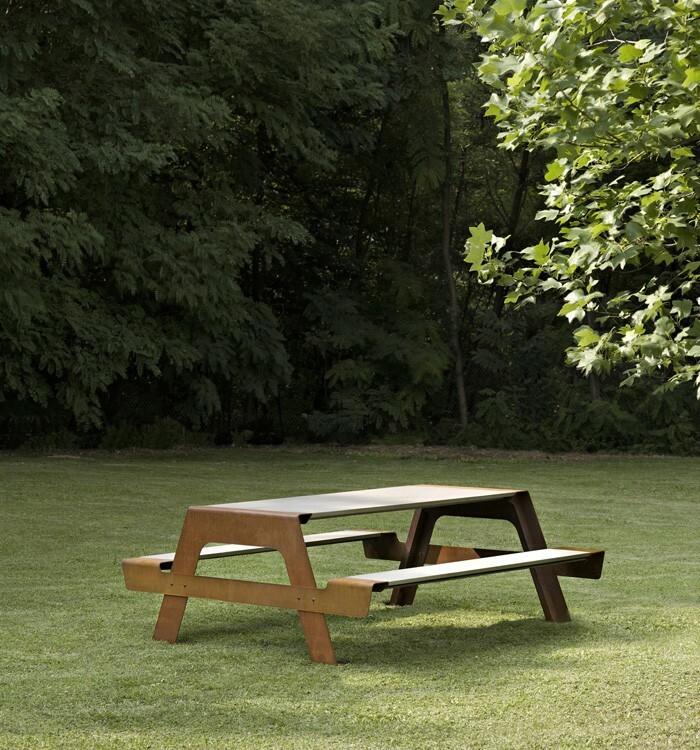 Thanks to the sophistication of its finishes and the décor of the object, the furniture fits harmoniously in minimalist settings, of modern style, as well as in refined classical environments. 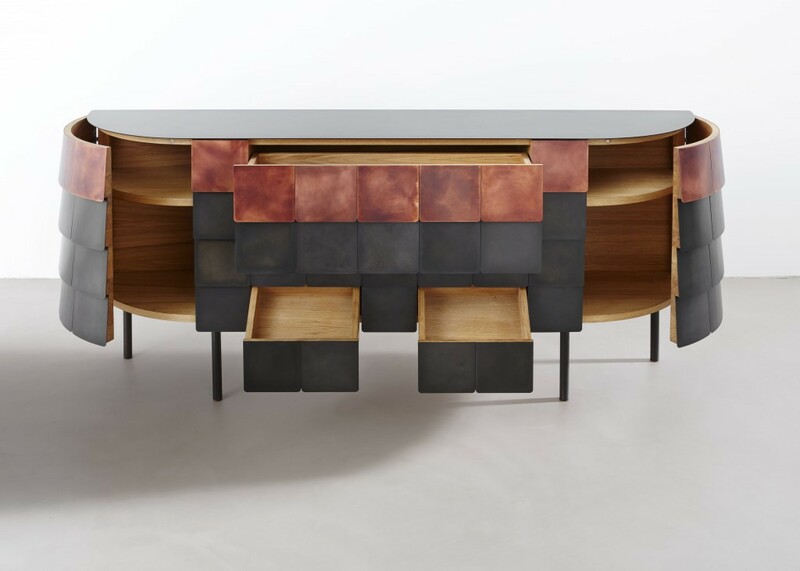 Inspired formally to the armor of the Samurai, Yoroi has the evocative power of Deco furniture, the dynamic combined with the linearity, able to characterize the spaces in an original way.